This entry was posted in Locks and tagged Home Locks, Home Security on July 28, 2016 by Locksmith Sarasota. 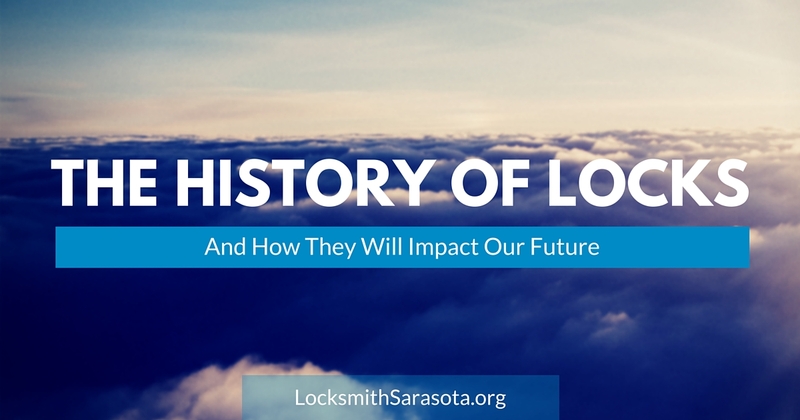 Locks and keys form part of our everyday lives, but how often do we stop to think about them? Most of the time they exist only in the background, until something happens to them and we can’t access our stuff. The other time we think about locks is when our security has been breached and someone has damaged or destroyed our things, or taken them outright. All of these scenarios point to the importance of locks in our lives. Locks have been around for thousands of years. From the time the first human had something worth keeping, they were looking for a way to keep that item secure. Modern-day Iraq is also the birthplace of the pin lock. Archaeologists discovered a basic lock and key system while on a dig at the Palace of Khorsabad in the 1800s. The find dates to 4000 BC and its wooden design shares some basic similarities with modern locks. Here’s how it worked: Pins of different lengths inside the lock mechanism would stop the door from opening unless the correct key was inserted in the lock. Only the correct key would push the pins up and move the wooden bolt holding the door securely in place could be pushed out of the way. Metal was first used to fashion locks using the same basic design developed in ancient times during the Middle Ages. Locks had a keyhole with a cylinder on their far end. The keyhole featured a series of wards, or concentric plates, that would be able to block a key from turning unless it had the correct pattern of notches to match they pattern or wards. If the key turned freely, it would engage the bolt when turned. The Industrial Age of the 1760s saw power-driven machines replacing hand tools. During this period in history, Robert Barron patented a double-acting lever tumbler lock. His design required between two and four separate levers to lift to separate heights in order for a lock to be opened. These locks were more secure than anything on the market to date, but they could still be picked. In 1784, Joseph Bramah patented his design for a lock that is still in use in London today. It uses a cylindrical key to press a number of wafers inside the locking device. The correct key hits the wafers and will retract the bolt. Inventors like Chubb and Schlage improved upon these lock designs, adding their own innovations. Linus Yale, Jr. added the flat grooved key with a notched edge that we are all familiar with for residential locks. Our need for security has not gone away, but the way we keep things secure is ever-evolving. The future of locks will likely involve doing away with a physical key, which can be used by anyone who has access to it and can become lost. Instead, digital locks are becoming more popular. 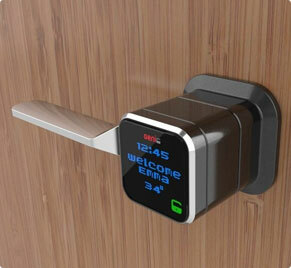 We already have locks that can be programmed to use passwords, codes or fingerprints for authentication methods. Facial recognition software is now available to open some doors. Lock companies are also experimenting with technology that will allow you to open a lock with your smartphone or the sound of your voice. In the meantime, you can trust Locksmith Sarasota for all your residential and commercial locksmith needs. Call us today if you want to replace or update your existing locks.